Although tomorrow is supposedly a holiday I still have to go to class and take some tests. Well what can I do this is the life of a college student. I went to a friend's house today to enjoy a bit of the weekend at least. I had quite a lovely afternoon there. Once again it was quite chilly so I wore a bit more layers of clothing. 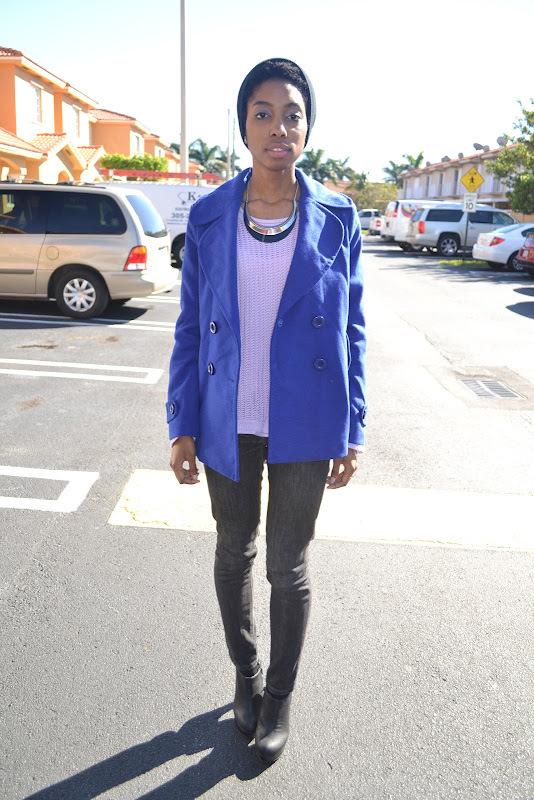 I fell in love once again with this royal blue coat that I got 2 years ago specially for my trip to Europe. I wore it quite a few times there and barely here. 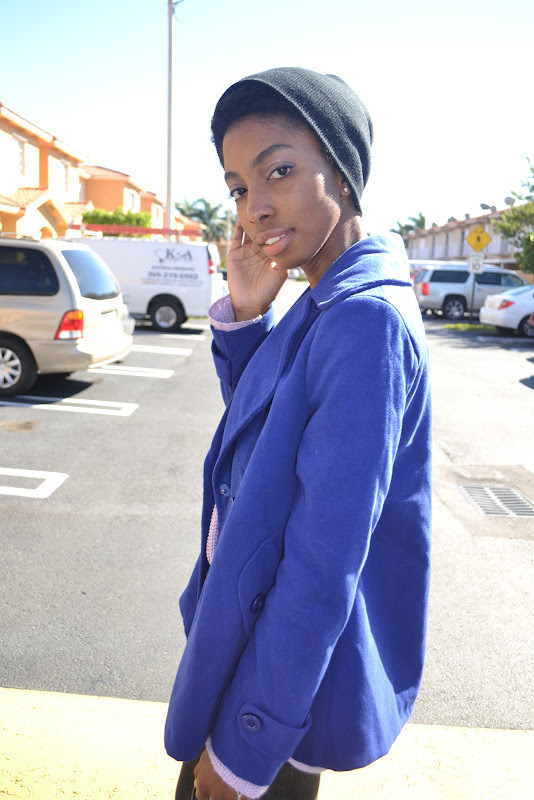 Luckily this year Florida seems to be more chilly so I got to wear it more this time around. How did you spend your Sunday afternoon? I love your accessories! That coat has a lovely color!! 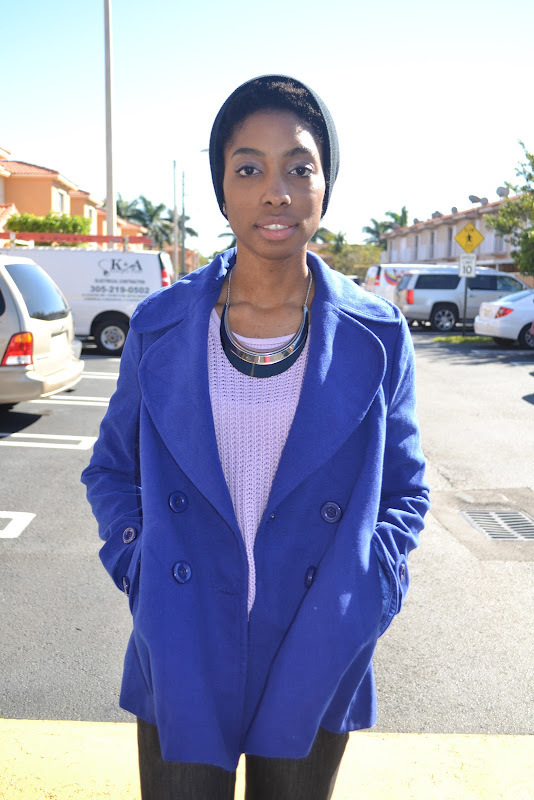 Love the combo of lilac and royal blue, looks really great and oh Omg that bracelet is so cool, love it!